In March 1913, less than two months after the sorority’s founding, Deltas marched down Pennsylvania Avenue in Washington D.C. for women’s suffrage. 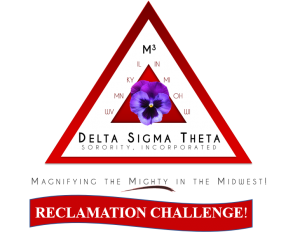 Delta’s political activism is alive and well in the Bloomington-Normal Alumnae Chapter (BNAC).Voter Education – BNAC distributes voting information regarding registration, early voting, and casting absentee ballots. Voter Registration – BNAC conducts voter registration drives at the Cultural Fest and Juneteenth, in addition to drives at local businesses and churches. the workings of the City Council and exposes the City Council to the public-service programs BNAC implements in Bloomington and Normal. Delta Days in the Nation’s Capital – BNAC sends a representative to this annual legislative conference to increase our involvement in the national public policy-making process. Delta Days include legislative briefings, issue forums, and advocacy skills development. Featured speakers include key policy-makers, members of the United States Congress, Congressional staff members, and national issues experts. Delta Days trains participants to become effective social action advocates in the areas of quality education, affordable healthcare, Census 2010, and economic viability.